That’s all the background work. To finish, you would simply visit the Appearance -> Menus panel in your site admin. Now, instead of seeing some text suggesting that your theme doesn’t natively support menus, you’ll see some Theme Location options. 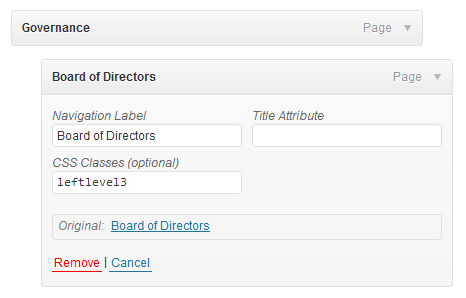 You can now use the GUI menu creator on this admin panel to put your menu(s) together. Give them each a name, and then assign a menu to a location with the pull-down options. (You will see your new navigation choices when you Add a New Menu.). First, define where you want menus to appear in your theme. Most themes define at least a “Top Navigation” location. Some define “Secondary” and “Footer” locations, as well. These menu location names appear in the “Theme Locations” panel of the “Appearance > Menus” screen, and allow you to later choose which menu content goes in each menu location. In your theme’s “functions.php” file, add the following at the bottom. 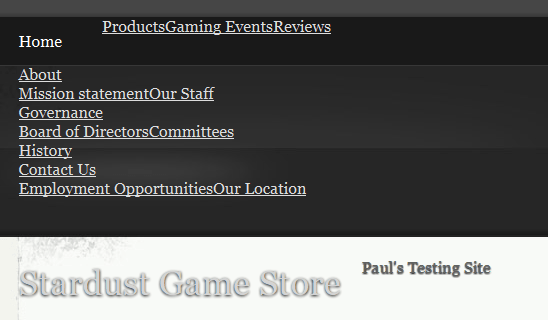 Before moving on with my friend’s site, I figured I should add a second menu location. I didn’t want to be caught unprepared again. There’s always the possibility she might want another menu placed in the footer. To add more than one menu location, change your code to the following. This is used instead of the code above–not in addition to it. This function “register_nav_menus” takes an array of location slug / description pairs. Save these changes to “functions.php”, reload the “Appearance > Menus” screen, and you should see two menu locations listed. Next, you need to update your WordPress theme template files to request these menu locations and put their assigned menus in the places you want them to appear. The header navigation menu–intended to be the global navigation for my friend’s site–would need called in the “header.php” file. You need to find the spot in “header.php” where the current menu method is used so you can replace it. “container”–set to false so WordPress would not automatically wrap the entire menu in a container. Once you get the hang of this simple tutorial, check out the wp_nav_menus page in the WordPress Codex to see the other optional parameters. Wait–why did I set “container” to false? After all, the menu is indeed wrapped in a “div#menu,” and I could have the “wp_nav_menu” function do that for us. At issue here is the clearing DIV just before closing the “div#menu.” If I let WordPress create the “div#menu,” I would not have an opportunity to add that clearing DIV before WordPress closed the “div#menu.” So, I had to open and close the container — “div#menu” — myself. Since I also added “Footer Navigation” to the “Theme Locations” panel, I should include it somewhere in my template files–even if my friend doesn’t plan to use it yet. For Elegant Grunge, I edited the “footer.php” file to add this menu location in. The theme has a widget sidebar in the footer, followed by a clearing DIV. I decided to put the footer menu code after that clearing div. I told “wp_nav_menu” to use the menu referenced by the slug “footer-nav,” which we registered before. There was no menu at all in the footer before I came along, so this time I wanted WordPress to wrap the menu in a container DIV (the default) and to give that DIV an ID of “footer-menu” so we could target it with CSS and such. The problem here is the lack of any menu assigned to the footer-nav menu location. If I don’t have any menu assigned to the footer-nav menu location, WordPress will pick up the first menu it can find and sub it in. What I need to do is check to see if footer-nav has a menu assigned to it, and only output menu code if there is a menu. To check my work, I needed to create a menu using the “Appearance > Menus” interface and hook it up to the new menu locations. I added a menu name of “Global Navigation,” clicked “Save Menu,” and then added a number of pages in primary, secondary, and tertiary positions. Once I did this, I was able to select “Global Navigation” for our “Header Navigation” menu in the “Theme Locations” panel. I reloaded the page to see what we would get. The results were not encouraging! My menu items were all stacked vertically, and this messed up the site’s logo and tagline, as well. So much for a simple, quick site, right? I didn’t panic, though, as I knew right away some simple CSS changes would fix things up. This is the kind of hassle we used to deal with all the time before WordPress added the navigation menus. I decided to copy the CSS rules from the 2011 theme and modify them to meet my needs. To make your new menus display properly, you need to add some rules in your “style.css” file. For Elegant Grunge, I copied the styles from Twenty Eleven theme first, then modified from there. The Twenty Eleven theme uses an ID of “access” on the menu’s containing element. In the Elegant Grunge theme, the menu’s containing element is “#menu,” so in the style rules I change “#access” to “#menu” in all spots. As soon as I made the “#access” to “#menu” change in the style rules, the menu looked a lot better. However, it was tucked way up in the upper left corner instead of under the site logo and such. I had a look at Elegant Grunge’s original style rules for #menu to see what was the matter. In my case, I needed to comment out some of the Twenty Eleven styles on #menu and #menu ul, then add in a few of the elements as Elegant Grunge originally styled them. That’s all explained in the following downloadable CSS snippet. Note: The downloadable is an excerpt of the hybrid Elegant Grunge / Twenty Eleven style.css file, reflecting changed styles to make the dropdown menu work. Download the modified CSS for the menu. The downloaded style file makes it all work nicely. Experiment with the CSS from there to get different looks. Current page highlighting and other effects are possible, purely in CSS. Sometimes menus can get pretty crowded. You’ve probably seen some horizontal menus that could stand some trimming. With our current styles, a menu near the right side of our page will open further to the right and potentially off screen. If you have this problem, you can fix it by adding a special class for those right-most menu items. Add the class “leftlevel3.” My intention was to make 3rd-level dropdowns open to the left of their parent menu instead of the right. Note the more correct way of positioning the entire 3rd-level dropdown would be to position the <ul> element containing all those 3rd-level list items. Unfortunately, we cannot add classes to the <ul> itself in the Menus interface. If you followed all that, you should end up with WordPress Navigation Menus available for use–even in your older themes. The styling might take a bit of debugging, depending on how well the CSS was coded in your original theme. Just think, though: once you get it working the way you like, you won’t have to worry about again! You or your clients can simply use the Appearance > Menu screen to easily make menu changes.